#BroadwayBarks Dog Rescue This Weekend! Hey, now that the U.S. DEM/GOP political conventions are out of the way, you can take this time to go save yourself by rescuing a dog or cat at this year’s annual Broadway Barks event in NYC! Just check out some of the handsome pets that have saved their humans on Twitter using the hashtag #BroadwayBarks! Let’s Hear It for Broadway Barks #doglovers! Ah, summertime…Baseball, hot dogs, apple pie, and Broadway Barks! 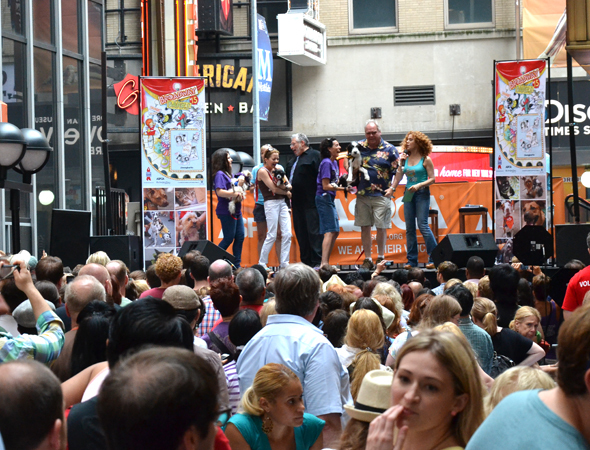 Yes, the annual Broadway dog-pleaser is back again July 11 in New York City. Eloise Would Like A Dog, Please! 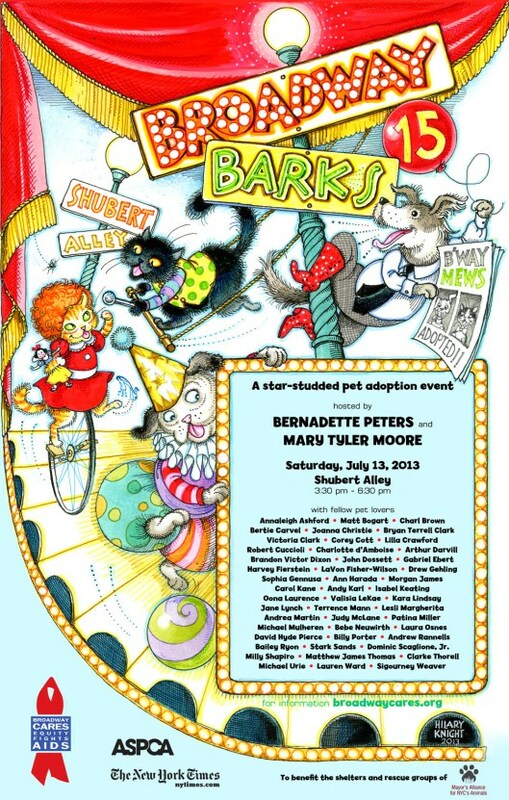 Hilary Knight, the famed illustrator of the Eloise books, has created the new poster for Broadway Barks 15, the annual star-studded adopt-a-thon hosted by co-founder, Bernadette Peters.